Another big hit straight out of NAMM this year is the newest digital media controller from Numark called the NS6. If it looks familiar, that's because it is! 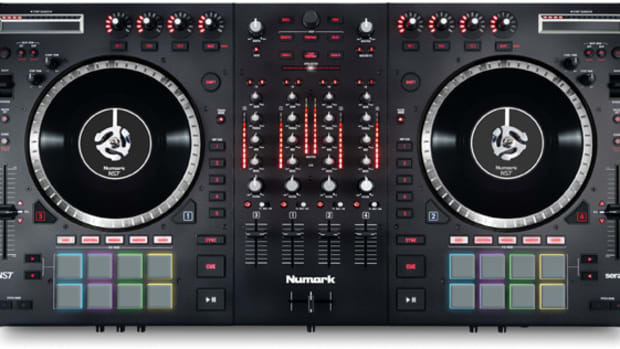 It's basically a Numark NS7 controller with touch sensitive jog wheels and an additional two channels/decks at the DJ's disposal. 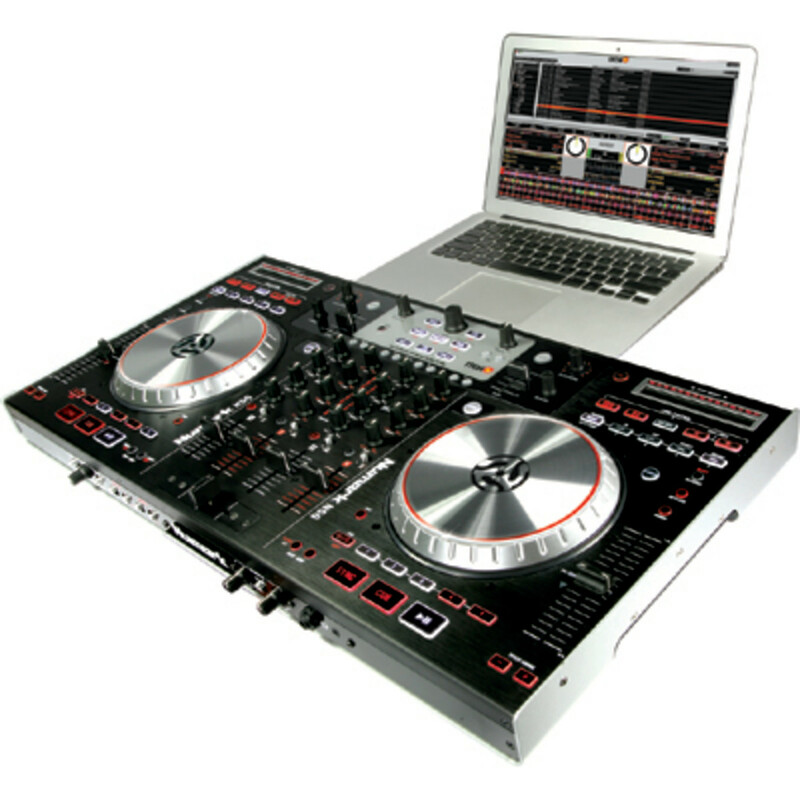 With the touch sensitive jog wheels, four-channel mixer, and four-decks of Serato Itch software control, this unit sure seems like a winner to us. I'm sure the rest of the DJ companies with four-channel-deck controllers are now shaking in their boots. Full press release and product details inside. If you are in California this week, head on over to NAMM and check it out yourself! Numark has just announced their newest four-channel/four-deck Digital DJ Controller that will be running in perfect harmony with the Native Instruments powerful Traktor 2 DJ software. This marks the first time that Numark is making a Traktor dedicated controller as the Numark NS6, NS7, and V7 were created to work with Serato Itch. 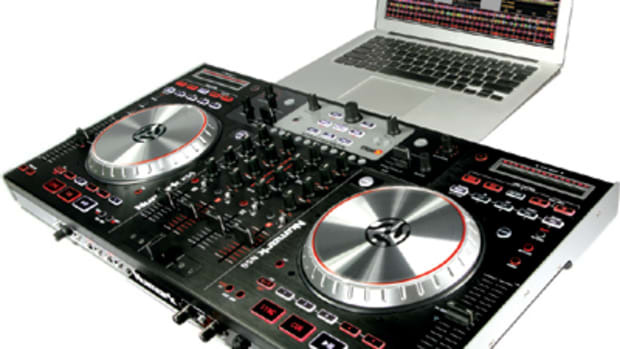 Most DJ's know that the Traktor software is more in-depth than Serato, and it is more capable of those fine controls and tweaks that DJ's will want. So it only makes sense for Numark to finally create a serious Traktor controller to contend with the rest. (Press release and Price inside). 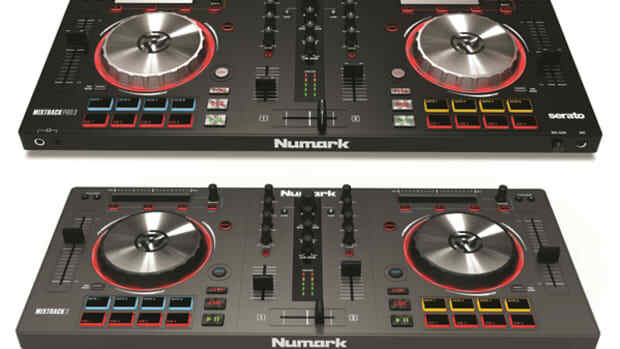 NAMM 2010 - Numark V7 Announced! 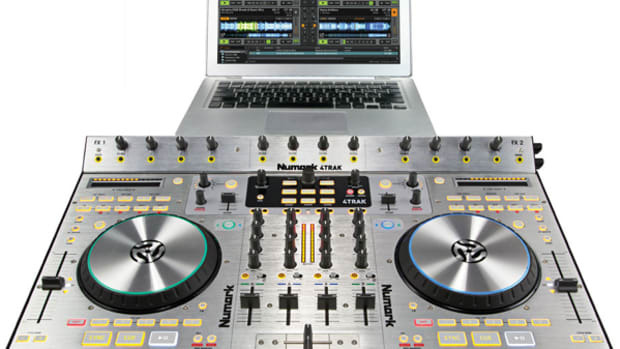 V7 is based around the acclaimed adjustable torque, motorized-platter design from Numark's NS7 and delivers a host of professional features including real vinyl and a slipmat that analog turntablists will love, plus turntable control at ten times the resolution of standard MIDI, mouse-less library navigation, and Strip Search virtual-needle drop. V7’s link function enables you to combine two V7s with your choice of any mixer and your Mac or PC for a completely customizable, totally seamless performance environment. I am going to announce a premier event at the Juliet Supperclub in NYC on Wednesday, August 24th called Mission:Control. The club is installing the all new Numark NS6 Digital DJ Controller permanently in their DJ booth! There will be high profile DJ’s on hand during the private, invitation only installation including Kelly G, Kay Gee, Jazzy Joyce (from HOT 97), Marley Marl, DJ Ace, and Beverley Bond, then a party open to everyone afterwards. Check inside for the details and review video of the NS6! 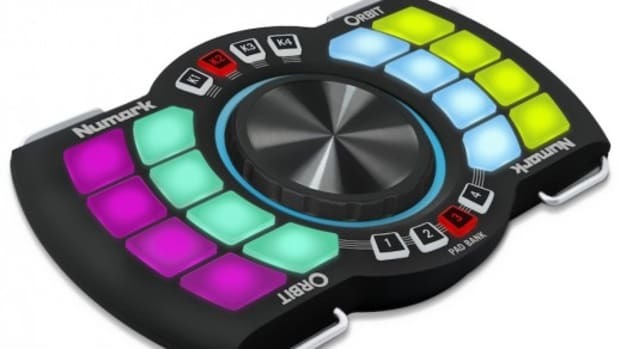 Numark has quite a few big announcements at this year's NAMM show this week with the first one being the Numark Orbit Wireless DJ Controller that was teased in the short video late last week. 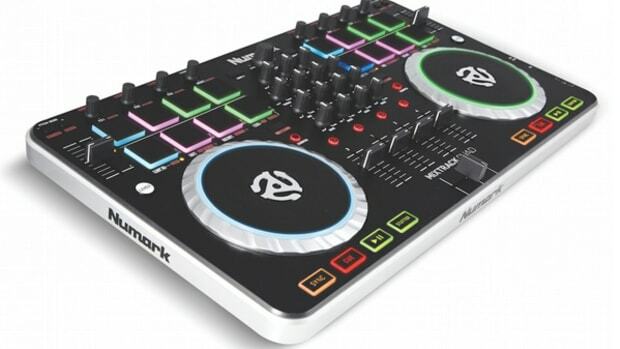 The Numark Orbit DJ controller is very small and compact with rubberized performance-style multi-color-backlit pads on each side to control different functions, a jog wheel in the center, and accelerometers inside for motion sensor style control. 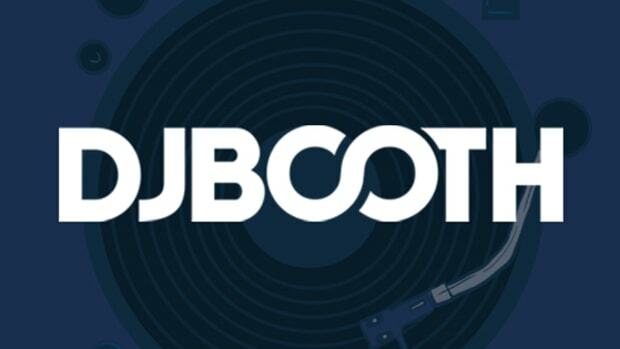 Numark says DJ's can perform with the Orbit via USB port (connected to a computer which also charges the unit) or wirelessly on the dancefloor with the crowd. Check out more details & Video inside.